Modern shapes meet minimalist design in Yamao. 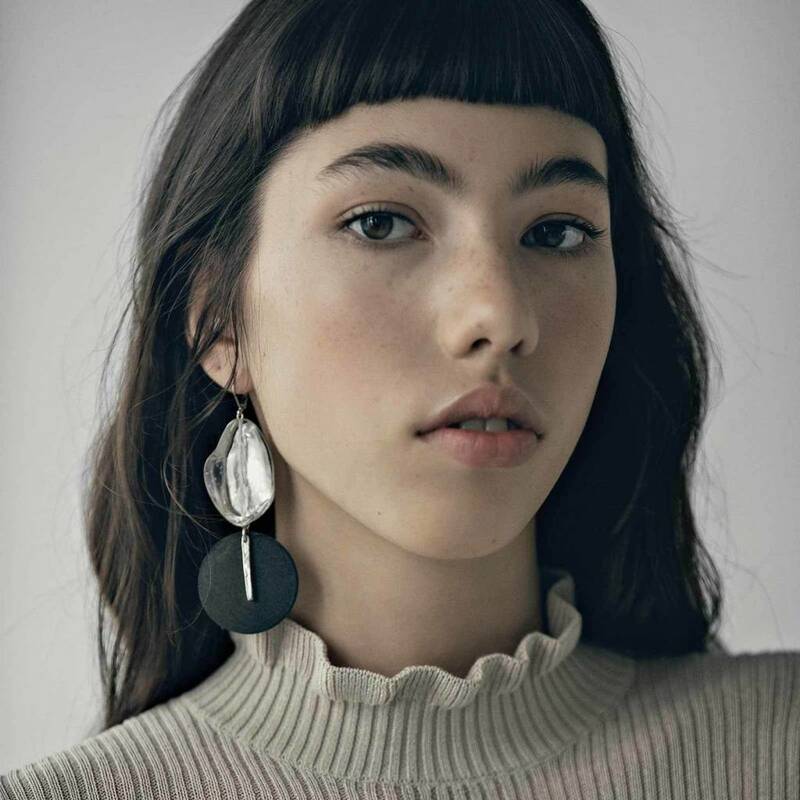 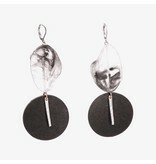 A funky pair of dynamic earrings, these are as complex as you are. 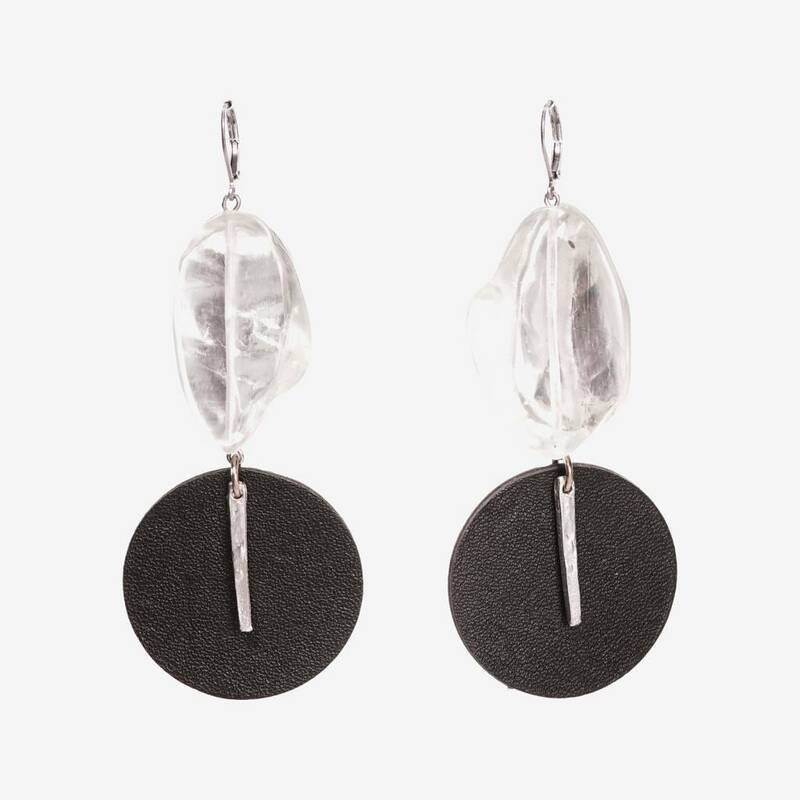 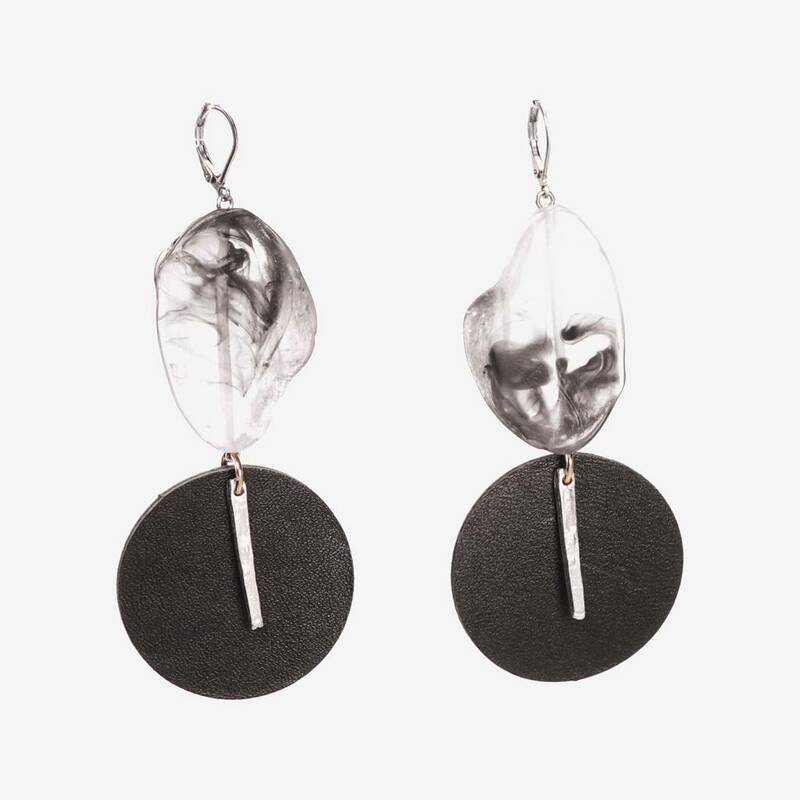 Hand-shaped translucent resin gives way to a leather circle accented by a hammered pewter bar.